The Martin Yale 1217A is an introduction to the larger machines in our line and provides more robust folding strength, a conveyor delivery system and preventive jam features, like removable tables and reversing switch. The reinforced drive system provides accurate fNEWs again and again. 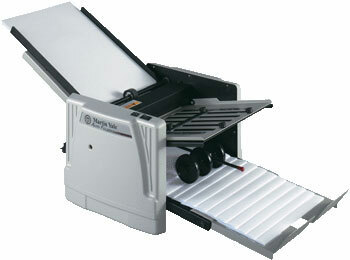 With a maximum paper size of 300x435mm, this machine is sure to be a benefit to any environment.